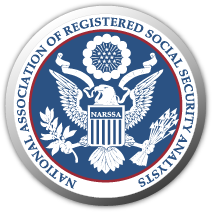 The RSSA® course will provide you with everything you need to know about Social Security rules, strategies, and how to monetize this service in your practice. Provide billable advisory services helping your clients and prospects maximize their Social Security benefits. Adding Social Security advisory services transforms a seasonal tax practice with a year round client opportunity. As a Registered Social Security Analyst®, similar to a tax return, the final billable “product” you provide your client is a written custom analytical report. Retiring seniors represent the wealthiest segment of the population. As a Registered Social Security Analyst®, you’ll differentiate yourself from other advisors. Provide seniors with the answers and strategies they need to maximize their retirement income. The five-module self-study online tutorial course includes training, software, resources and free NARSSA membership. Social Security concepts, strategies and software to better serve clients and prospects. Complete the training with the competency final examination to become a Registered Social Security Analyst®.